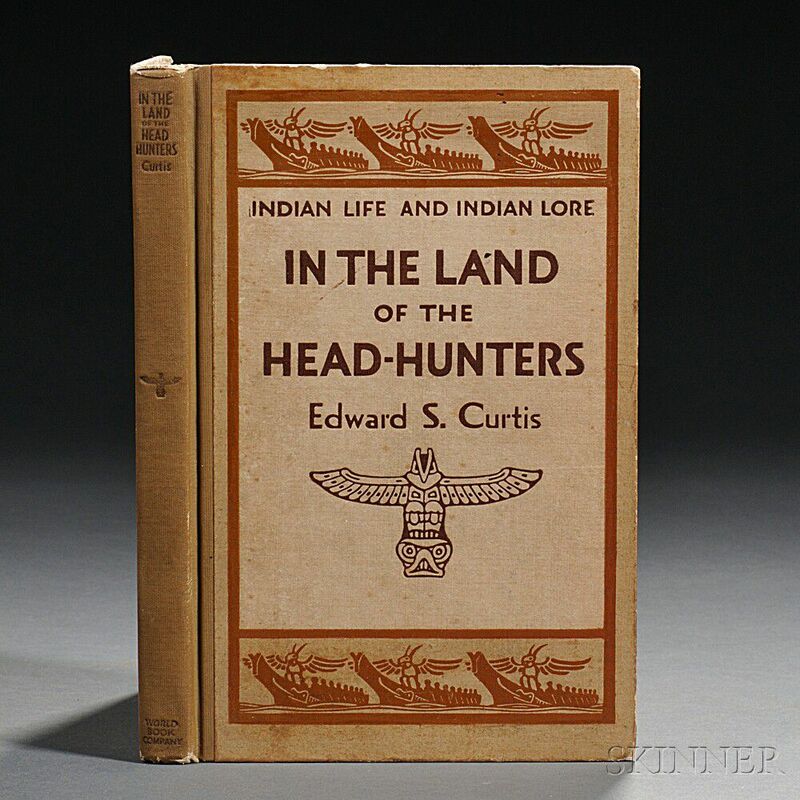 Curtis, Edward S. (1868-1952) Life and Indian Lore: In the Land of the Head-Hunters. 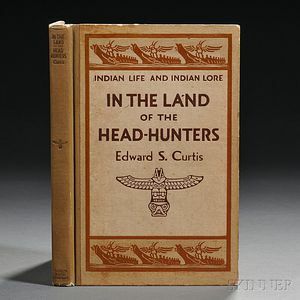 Curtis, Edward S. (1868-1952) Life and Indian Lore: In the Land of the Head-Hunters. Yonkers-on-Hudson, New York: World Book Col, 1915. 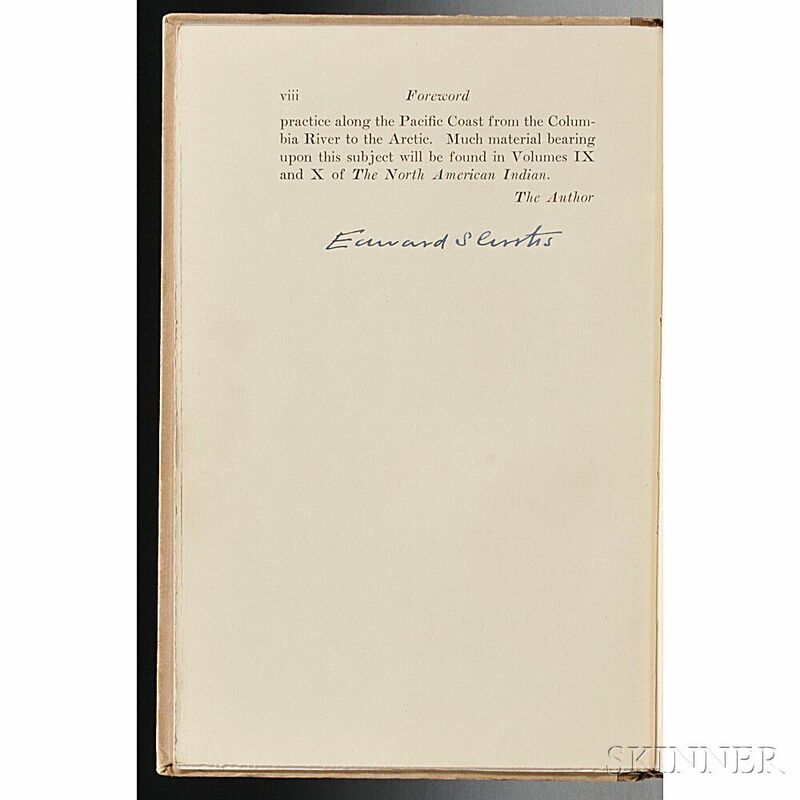 Signed by Curtis at the end of the foreword, first edition, bound in publisher's half cloth with beige boards, the front board blocked in two colors; slightly rubbed, 8 1/4 x 5 1/2 in.